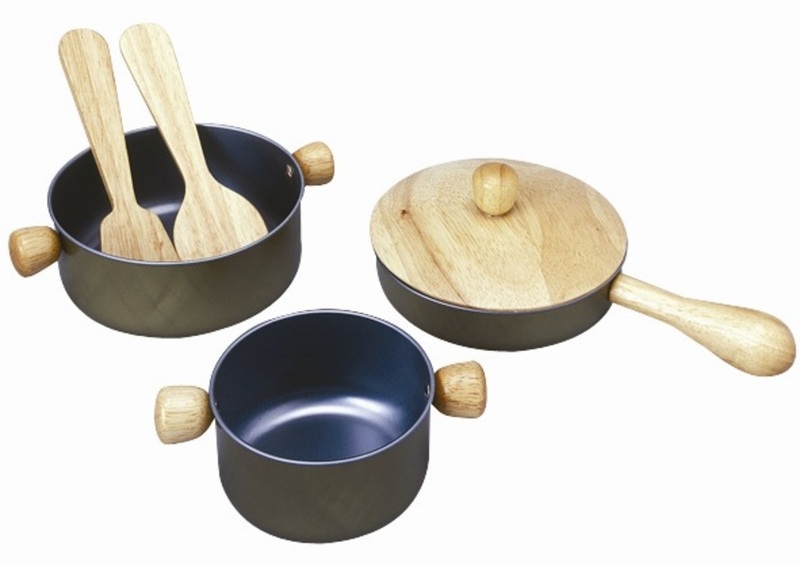 This wooden Cooking set includes a frying pan, a pot with a lid, a saucepan as well as a spoon and a spatula. Perfect for all budding-cooks! From 3 years old.